WORKING ON PROFITABILITY Together with You On Your Business. Neil is passionate about Business and helping Business Owners to improve and grow their business, income and freedom and to achieve their business, lifestyle and personal goals He works with the Owners to succeed and grow over the medium and long term and form a partnership where he helps them identify the businesses problems and issues and brings the missing tools, resources and Business Solutions that help to improve the profit growth and the value of the Business. He doesn’t just work with Business Owners in trouble, he also works with Businesses who want to really grow, or are even just starting out, but need a Partner to support them along the journey. He understands what goes on and how this type of business is different from the big multinationals and the corporate. Proud recipients of the OBA Business and Professional Services Highly Commended Award. 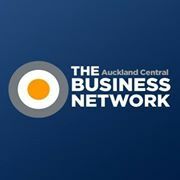 The Business Alliance is the proud recipient of the 2018 Orakei Business Highly Commended Award for Business and Professional Services.